Behind a Space Precinct cover the issue covers the proposed new UFO movie, the first part of a detailed interview with actor Shane Rimmer who was the voice of Thunderbird 1 pilot Scott Tracy as well as many other Anderson characters, a breakdown of the Thunderbirds episode The Midas Touch as well as features on Gerry Anderson's live action shows Space Precinct and Space:1999. For British comics fans the issue includes the fourth part of SF author Stephen Baxter's ongoing series of articles on the various comics that have featured comic strips from Gerry Anderson series. This excellent and very detailed series reaches Lady Penelope comic and covers both the weekly title and its annuals and includes the rebirth of the title as simply Penelope. The article runs to a 12 colour pages. 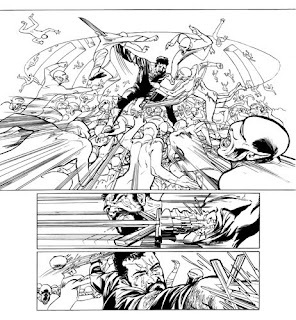 In addition FAB 65 includes, on the back cover, the second page of The Secret Service comic strip by artist Jon Davis originally published in Countdown comic. • FAB Magazine is available exclusively to Fanderson members. A one year membership costs £22 plus the appropriate postage and also gives you the chance purchase the Club's remarkable range of merchandise including books, CDs, DVDs badges and patches. More details on how to join are on Fanderson's website. downthetubes was sad to learn of the death of Robert Culp, an actor with a number of cult TV and film credits to his name. Culp was perhaps best known for his role in I Spy, the American espionage series which ran from 1966-68. He made three appearances in the original version of The Outer Limits including the episode Demon with a Glass Hand by Harlan Ellison. He was also in Spectre, a made-for-television fantasy/horror film produced and co-written by Star Trek creator Gene Roddenberry. Culp was one of the most prolific guest stars in the hit TV detective series Columbo - he and The Prisoner star Patrick McGoohan both appeared in the series four times. 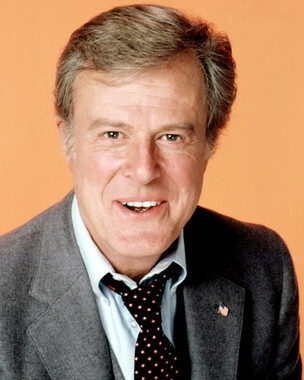 Robert Culp died aged 79 after a fall outside his Los Angeles home. The Glasgow based graphic novelists Metaphrog, who are artist Sandra Marrs and writer John Chalmers, are a busy pair when it comes to giving talks and demonstrations of their work on the Louis graphic novel series. Most of the events take place in schools and are therefore not open to the general public but from time to time they do events that are. Their next event that is open to the general public is at the Forfar Library on West High Street, Forfar at 6pm on Tuesday 30 March 2010. The event is free and while Metaphrog are the first graphic novel creators to give a talk in the library it is hoped that if it proves to be popular enough the library will continue the talks with other local creators in the future. 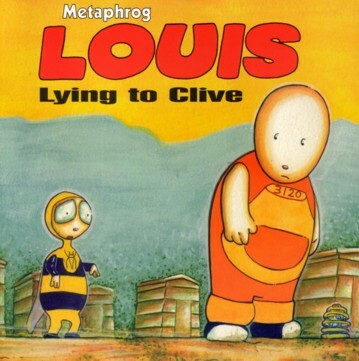 There are more details of all Metaphrog's Louis books and their talks on their website. Writer/artist Garen Ewing has put up the cover of the eagerly anticipated Rainbow Orchid Volume 2 over on his blog. This shows hero Julius Chancer and his companions being menaced by a snow leopard and he advises that the book will be available for sale from 5 July 2010. Garen also gives a list of convention appearances that he will be making this year including the Bristol International Comic Expo at the end of May and Caption at the end of July. It is also good to see that, in addition to the comics cons, he will also be appearing at two of the major British literary festivals. While both festival's programmes have yet to be published, Garen will be appearing at the Hay Festival in the Hay-On-Wye booktown on the Welsh border on 3 June 2010, while on 23 and 24 August he will be in Scotland at the Edinburgh International Book Festival. It is good to see his bande dessinee style Rainbow Orchid getting this sort of attention from the literati. More details of Garen's appearances are available in the events listing on The Rainbow Orchid website. The Scotch Corner daily art blog has added its sixth and final regular member in the shape of Nikolai Dante artist Simon Fraser. Simon has taken on the previously vacant Saturday slot on the blog which also features other Scottish artists Thomas Crielly, Gary Erskine, Andy Hepworth, Jon Hodgson and Graeme Neil Reid. The Sunday slot is deliberately left open for Scotch Corner readers to promote their own artwork, whether they are from north of the border or not. Having starting off his tenure on Scotch Corner with a selection of his life drawings and a few tantalising comments about what is to come, Simon's current post is artwork from a proposed movie project. Simon, along with fellow Cornerers Gary Erskine and Graeme Neil Reid, will be attending the Hi-Ex convention in Inverness this weekend where he will donate a page of Nikolai Dante artwork to the convention auction for the charity Children 1st as well as a separate double page spread which will be auctioned for the Haiti earthquake appeal. Simon's Scotch Corner contributions can be found here while there are more details of the Children 1st Dante page on the Hi-Ex website and the Haiti page on Simon's blog. It looks as though we can expect a new Doctor Who game for the Nintendo Ds and Wii. The Newsround website is reporting that the game should be released in time for Christmas. 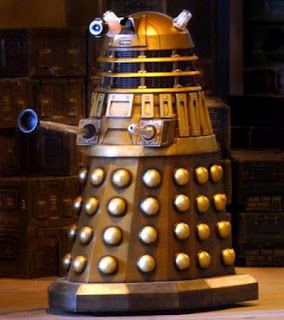 At this early stage, the baddies in the new game have not been revealed, but our money's on the Daleks. There have been several Doctor Who computer games in the past. Doctor Who and the Mines of Terror, a game for the BBC Micro in 1986, was too large to fit the Micro's memory and came with its own ROM chip which had to be installed before the game could run! Destiny of the Doctors ten years later featured original dialogue from Tom Baker, Peter Davison, Colin Baker and Sylvester McCoy and contained Anthony Ainley's final performance as the Master before his death. Via the Forbidden Planet blog, we're pleased to report that the Girly Comic website is once again back in business and being updated. A hacker attack back in 2009 caused severe setbacks for the website, but now it's back in action and the Girly Comic team is going to concentrate on the site rather than the printed version for the time being. Comic strips will be posted every Monday, a mixture of stories from the print version and brand new material. On Wednesdays there'll be reviews of comics of interest to Girly Comic readers and on Fridays, Selina Lock, the editor, will be blogging about the world of comics in general. This is a welcome return for an old favourite. The Den of Geek website is taking a week long look at the phenomenon that is the American B movie. Today, Karla Helion presents an overview of B movies, examining the circumstances under which they emerged, and over the next few days the site will be looking at how the films developed through the decades. Tomorrow, it's the 1940s and 50s. There's also a countdown of the top 11 'So Bad They're Good' movies and, naturally, Ed Wood and Roger Corman are both in there! 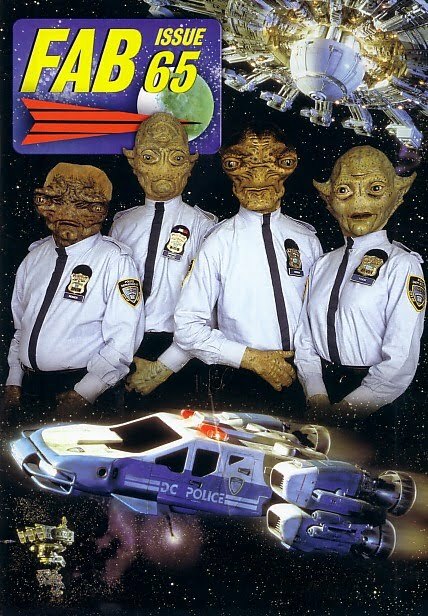 Usually made using pre-existing sets, low paid actors and stock footage, B movies tended to be less than 80 minutes long and were shown at cinemas following a more expensive and glossy 'A' feature. Whilst they were naturally often in the shadow of the films they accompanied, many B movies have gone on to have a huge following of their own. With the mighty juggernaut that is Hi-Ex's pre-publicity machine careering down those twisty Highland roads, it would be easy to miss the altogether quieter affair that is also on this Saturday coming. The UK Web And Mini Comics Thing 2010 will be taking place on Saturday 27 March 2010 at the Great Hall in London's Queen Mary University at Mile End. The event is open from 10am to 5pm and entrance on the day will cost £4. Thing 2010 will feature an 82 table small press comic mart as well as a series of panel discussions that range from the growth of blogs, twits and mobile comix development, via the cross-over between comics and animation, to science fiction in web and mini-comics, this final panel being lead by Space Babe 113's John Maybury. Also in attendance will be such notable small press and online creators as Marc Ellerby, Roger Langridge and downthetubes' favourite, Francesca Cassavetti of Fabtoons. More details of the UK Web And Mini Comics Thing 2010 including directions to the venue can be found at the Thing website. Inverness' Eastgate Shopping Centre had extra security at the weekend in the form of a Stormtrooper of the 501st UK Garrison who was helping Richmond Clements and Vicky & Ish Stonebridge promote the Hi-Ex comics convention to the locals, as well as collecting money for Hi-Ex's nominated charity Children 1st, the Scottish version of the NSPCC. 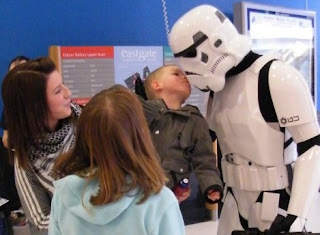 Unsurprisingly he proved a hit with the local children and, as well as the more typical Stormtrooper poses behind kneeling captives, this 'trooper brought the Imperial agenda to the fore by proving that in an election year you don't have to be a democratic politician to kiss babes in arms. 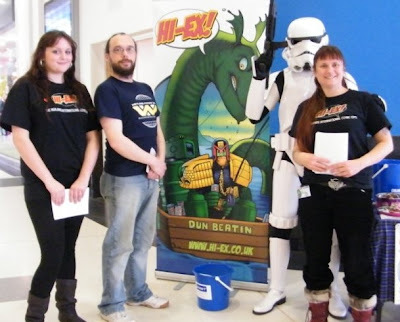 Hi-Ex will be taking place in Inverness' Eden Court on Saturday 27 and Sunday 28 March 2010 with doors open from 11am each day (although we fully expect that at least some people will forget that the clocks go forward on the Sunday). Last year the convention raised over £1600 for Children 1st and this year once again they will have their raffle and charity auction. Items in the charity auction include artwork from David Lloyd, Simon Fraser and Bryan Talbot and all auction items can be bid on by non-attendees to Hi-Ex by following the details on their website. More details of the Hi-Ex convention including directions to the venue and ticket prices can be found on the Hi-Ex website. Chris Evans Cast as Captain America? The Hollywood Reporter is suggesting that actor Chris Evans has been cast as Captain American in the upcoming film featuring the famous Marvel character. (This does not of course refer to the Radio 2 DJ of the same name, the former husband of Doctor Who star Billie Piper!). Both Marvel and representatives of the actor have so far refused to comment. Evans of course stared as Johnny Storm/The Human Torch in the two recent Fantastic Four movies. 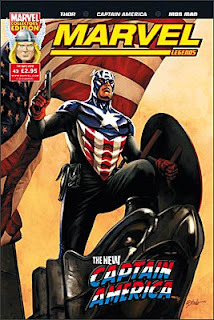 It is planned that the Captain American film will be shot in Britain and is set to be called The First Avenger: Captain America. An Avengers movie is due in 2012.